The winding Strada del Ponale, constructed according to the unbelivable plan of Giacomo Cis from Bezzecca (1782-1851) to connect Valle di Ledro with Riva del Garda, offers now unique view on the Lake. The Strada del Ponale was used until the nineties and then reopened for bikers and hikers, who can admire the wonderful view over Lake Garda. The construction of this road was considered a marvel of engineering, it opened an easier way to the Valley through some tunnels and sharp U-bends. The ancient road infact, was a rather steep, narrow and rocky mule-track that kept along the river Ponale and came out at the waterfall "Ponale" along the present Gardesana Occidentale road. The Ponale road was financed by the villages of the Valley. The construction began in 1847, but the works were suspended because of the war. The construction finished in 1851, the road was the same of today's but there were only three tunnels to minimize the tortuosity, the road was narrow and the bends quite sharp. Later the road was adjusted and widened and the first cars passed on it in 1891. In 1990, after the opening of the tunnel "Agnese" the Ponale road was completely closed. 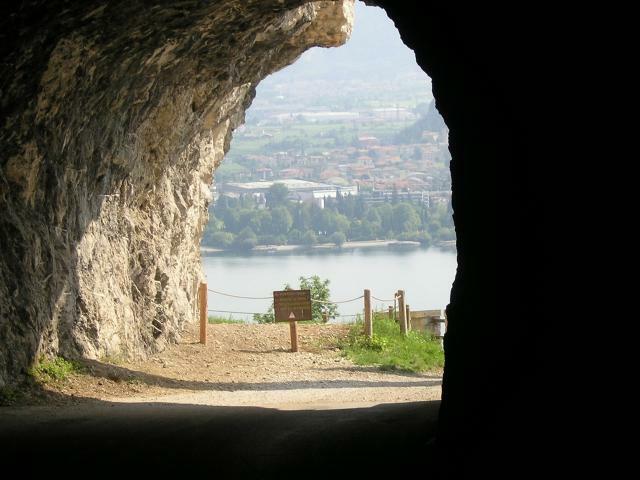 Thanks to the wilfulness of the "Giacomo Cis" commitee it was reopened in 2004, to allow bikers and hikers to enjoy a wonderful view over Lake Garda. © Consorzio per il Turismo Valle di Ledro | p. iva 00831220223 | c.f. 84002900227 | Privacy | Contributi P.A. SEI IL BIPEDE CHE STIAMO CERCANDO!